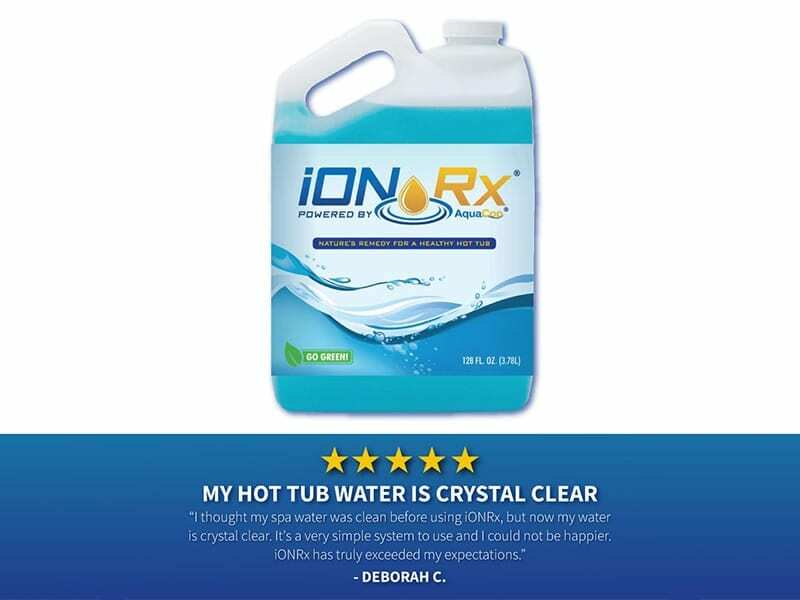 Our patented solution, iONRx® is the first eco-friendly, non-toxic hot tub sanitizing solution that makes water maintenance easier than ever before. No more chemical smell, rash, red eye or chlorine allergies. Created because my daughter has a chlorine sensitivity. Eliminating rashes, itching, coughing, and sneezing – No more chemical smell! !